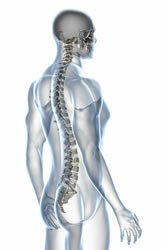 Burlington Chiropractic in Burlington, KY provides quality care to patients through the expertise of Dr. Bret Lindsey. Chiropractic services for patients in Northern Kentucky for the following areas: Burlington, Hebron, Florence, Ft. Mitchell, Erlanger, Crestview Hills, Covington, Lawrenceburg, IN and surrounding Tri-State communities. Call our office at (859) 746-2225 for an appointment today!